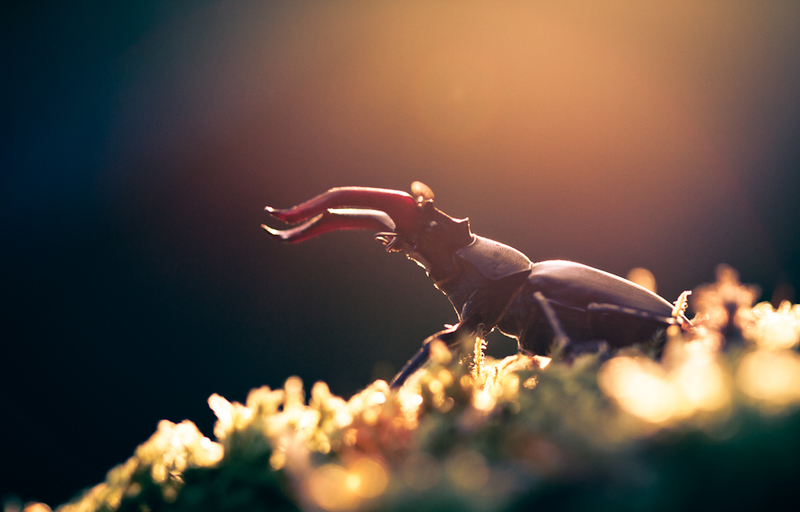 Welcome to stagbeetle.info – a site all about the Stag Beetle! Stagbeetle.info is a site all about Britain’s largest beetle, the Stag Beetle or Lucanus cervus. Here you’ll find information on all aspects of the life of this fascinating insect. You can trace its journey from the moment it hatches, through its incredible transformation from larva to beetle and beyond, as it finally bursts from the ground and goes off in search of a mate. You can also find information about how to help monitor the Stag Beetle, brand new educational resources and research information about the Stag Beetle and some more of Britain’s rarest beetles. Stagbeetle.info is run in conjunction with Royal Holloway, University of London. To find out more information about the research into the Stag Beetle that is currently taking place at RHUL, visit the Research Info page.